$107 Early Bird $102 if booked and paid at least 2 months in advance. president, Bill Clinton, at the 1994 funeral of former president Richard Nixon in Yorba Linda, California. It had been more than twenty years since the world’s most exclusive “Presidents” club had lost a member through death. 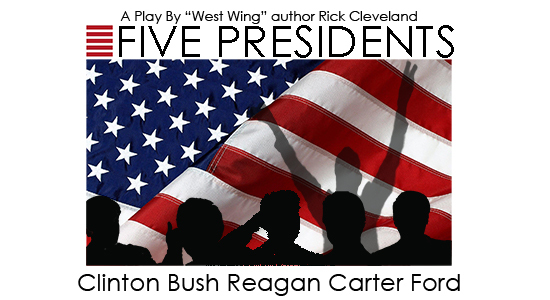 FIVE PRESIDENTS is an imagining of what might they have chatted about while gathered prior to the services to begin. small talk, jokes or petty bickering? leaders engaging on stage as well in this smart and funny drama/comedy. Lunch: Beef, potatoes, veggie, rolls, dessert, coffee or tea. $107 Includes: Motorcoach, lunch, show, snacks on bus, gratuities and driver tip. Return stop at Culver’s in Hudson for a short dinner break on your own.